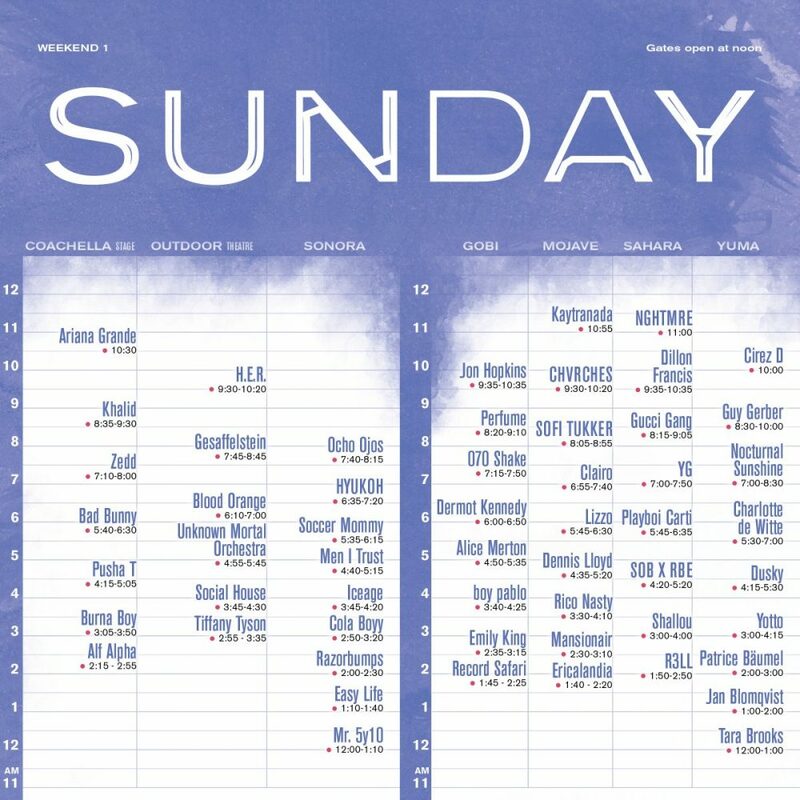 The Coachella set times are out (finally) so you can start planning your festival strategy. Just when it seemed they were really going to leave us hanging until the very last second, Goldenvoice dropped a Wednesday afternoon surprise. Music starts at noon, and things really start to heat up at around 5 p.m. through around 1 a.m. 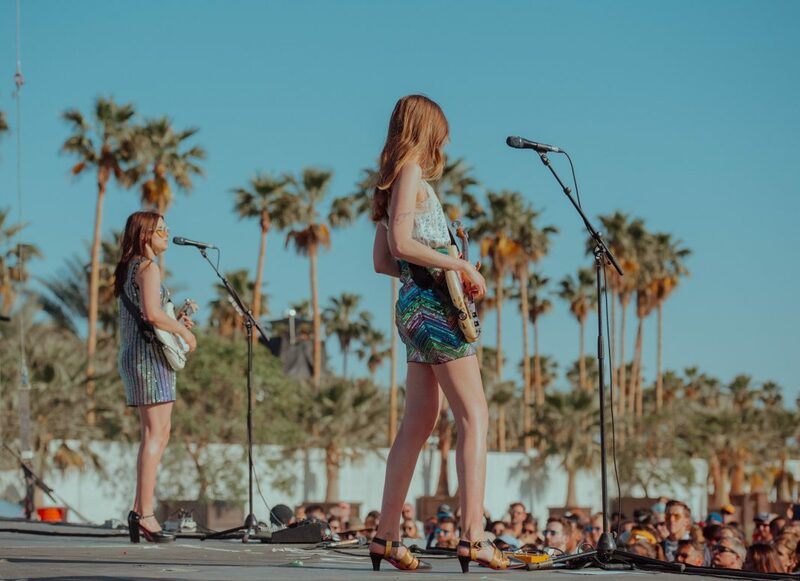 If there are certain artists you really have your heart set on seeing, be sure to arrive well in advance–Coachella officially recommends allowing “several hours”–to accommodate parking and entering the festival grounds. 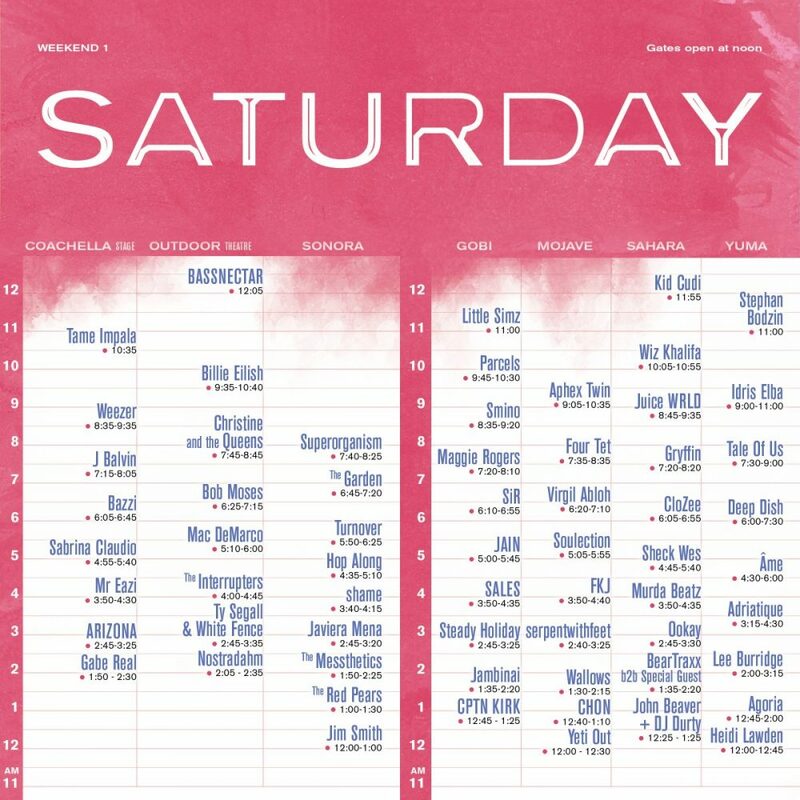 If you’re making the trek on Friday, you’ll appreciate that headliner Childish Gambino takes the stage an hour later than Saturday and Sunday headliners. 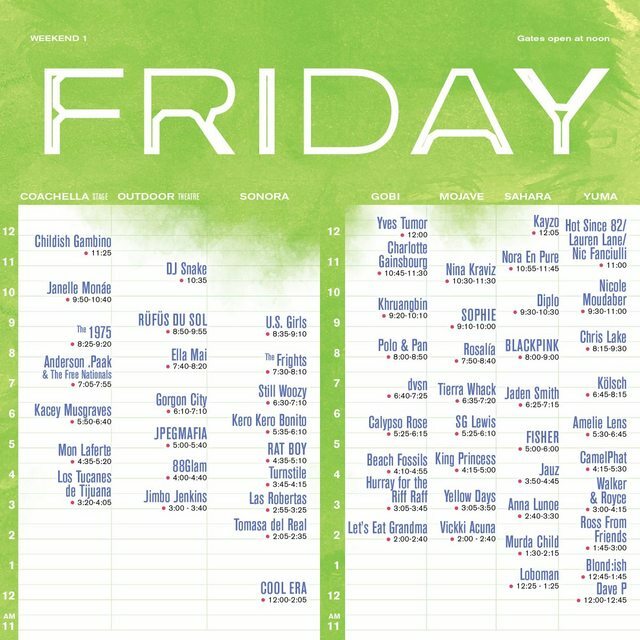 In a year when there’s been lots of conversation around the relative slump in star power of this year’s official headline acts, we’re excited to see artists including Jon Hopkins, Little Simz, and Kaytranada each “headlining” their own stages, offering very strong alternatives to the main stage closers.